What’s the best way to organize…? 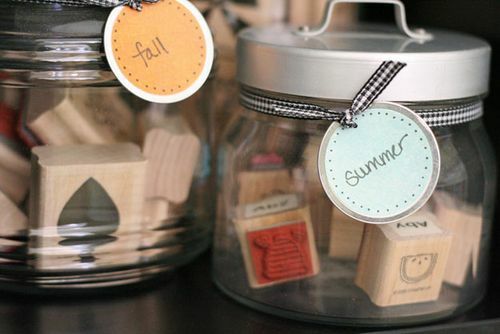 Home > Organizing Tips > Scrapbooking > What’s the best way to organize…? Earlier this week, I joined my friend Lain Ehmann for a webinar where I answered scrapbooker’s organizing questions. Throughout the questions, a common theme emerged. Scrapbookers were in search of the best way to organize. What’s the best way to organize stickers? one person asked, while another was in search of the best way to organize patterned paper. Maybe you’ve wondered something similar while organizing…what is the best way to do this? Whether you’re organizing scrapbook supplies, office supplies, or sweaters, when you find yourself looking for the best way to organize, pause for a moment and consider this: there is no best way to organize anything. There are simply ways to organize that work better for some people, and ways that work better for others. The key is to stop looking for the best way to organize and instead find a good way to organize for you. When you stop looking for the best way to organize, you give yourself permission to try a good idea or two on for size. You give yourself the opportunity to play around and see what works, which means you take away the pressure that comes from seeking a perfect solution. Additionally, when you look for a good solution for you, you step back and think about what you need. What works for you in other areas? What doesn’t work for you? This turns your focus inside, instead of looking outside. What’s going on outside — on Pinterest or in magazines or in your neighbor’s very well organized home — may be all wrong for you. Focus on what you know about yourself and in the process you may just find the best organizing solution after all. 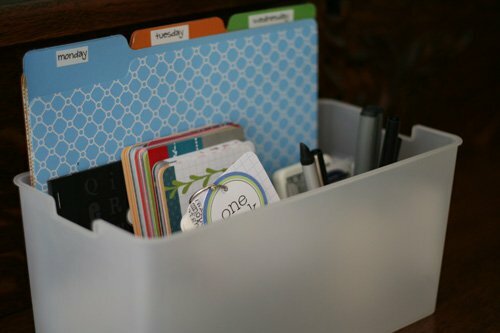 Have you ever gotten stuck looking for the best way to organize something? What do you think about giving this new approach a try? Please share your thoughts in the comments. P.S. If you’d like help finding good ways to organize your creative tools and supplies, check out Organize Your Creative Space online class. You are right on, Aby! We are all unique individuals and must find what works for us! We can glean ideas and inspiration from others, but must discover the best method or organizational system for ourselves and our space or situation! Thanks for your comment Lisa! I agree – it is about honoring our uniqueness. This speaks to me on all sorts of levels — really I do this with everything in my life. Spending too much time not doing anything because I don’t know how to do it perfectly. Thank you for this “reminder”. I have spent money on ‘the best way’ only to find it wasn’t right for me. What I have to do is spend quiet time staring at what needs to be organized and, pulling out all the stops, imagining what would work best even if some of the ideas seem bizarre. When I come up with a bizarre but viable solution, I then think, “okay, what thing in this reality would work in the same way.” I also insist on the solution being user friendly otherwise it won’t be used. The “bizarre” part of my filing is that I store this container in a kitchen cabinet! We enter from the garage to the kitchen, so that’s where everything was being dumped and abandoned. Now, it’s much easier to keep up with filing! I have been having the hardest time organizing my 3 little boys rooms. I find myself trying to organize by age, type of toys, games, then by color and size….it’s exhausting. In the end, I end up making things very complicated and not easy for my boys to understand where everything should go. Haha. Love those magazine keepers! I use one for medical records, mine and the cats. Until my daughter was about 4 years old, I organized her toys by making sure the things that came in the same box always stayed together. I rembered how much I liked having all the parts together when I was a kid. One day when I was frustrated because I was sorting tiny toys AGAIN I realized that’s not how my daughter plays. She likes to have all the animals together regardless of if they came with Calico Critters, Littlest Pet Shop, or bucket o’ mixed animals. So I started organizing them that way as well. Cleaning up is a lot easier now that I’ve accepted that. Not that my perfectionist mom is happy when she comes over! Thanks Sharon! Definitely more important that these organizing systems work for your daughter…since she is the one who uses them. This is a great lesson for parents…organize based on how your kids use their items instead of what makes sense to you.